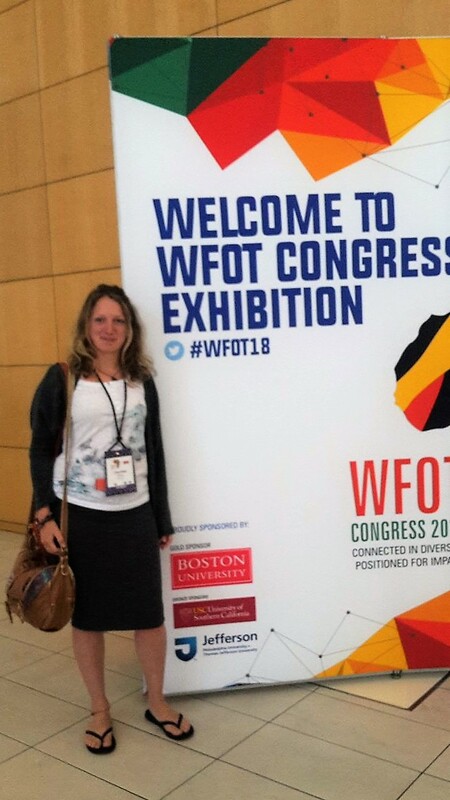 Attending the 2018 WFOT Congress as an OT student: my 8 very best moments! 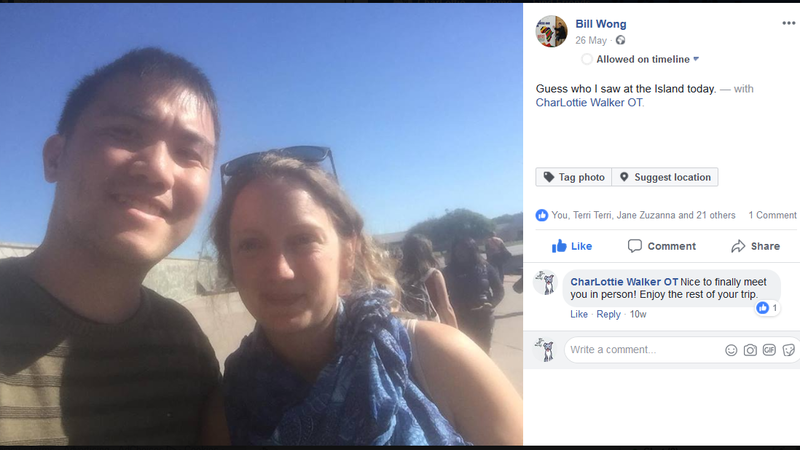 Published by Maurane, on behalf of author Charlotte, SPOTeurope vice-president. 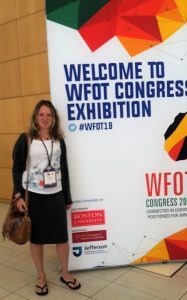 As some of you may know, I was lucky enough to win an RCOT competition (Royal College of Occupational Therapists) for funding to attend the WFOT Congress in South Africa this year. 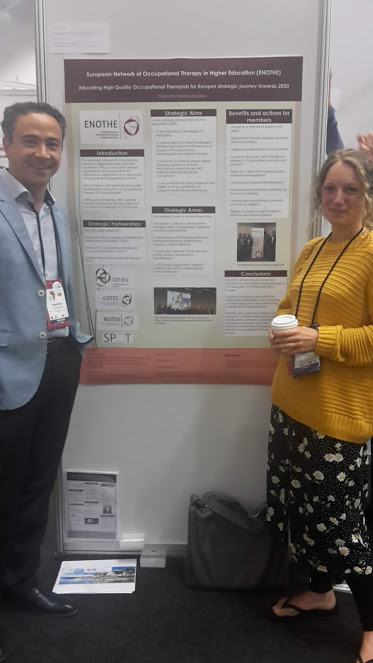 I’ve just finished my second year of university and, although I’ve learnt a lot about OT (and myself), the WFOT Congress was perhaps more formative than any part of my OT journey so far! 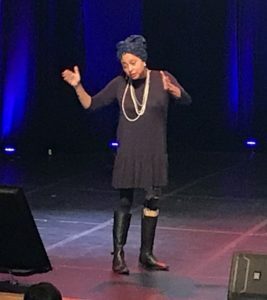 I knew this conference was going to be special when, in the opening ceremony, Marlene La Roux shared this powerful statement; “Occupational Therapy means you must be an activist.” We cannot limit our work to fitting ramps (for example); we have a responsibility to challenge attitudes, and see the bigger picture, using our skills to make change. 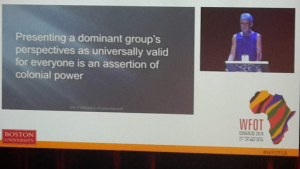 This theme continued to grow throughout the conference. It was so exciting to see so many Occupational Therapists who were both passionate and political. 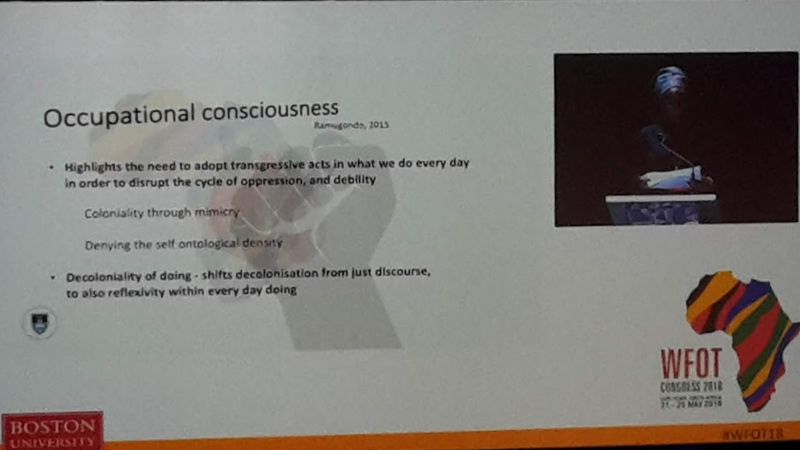 Elelwani Ramugondo’s keynote address introduced me to the concepts of occupational consciousness and decolonising health and Occupational Therapy. It was an incredibly powerful address which I am still reflecting on. As a result, I’m consciously unpicking my professional interactions and assumptions. 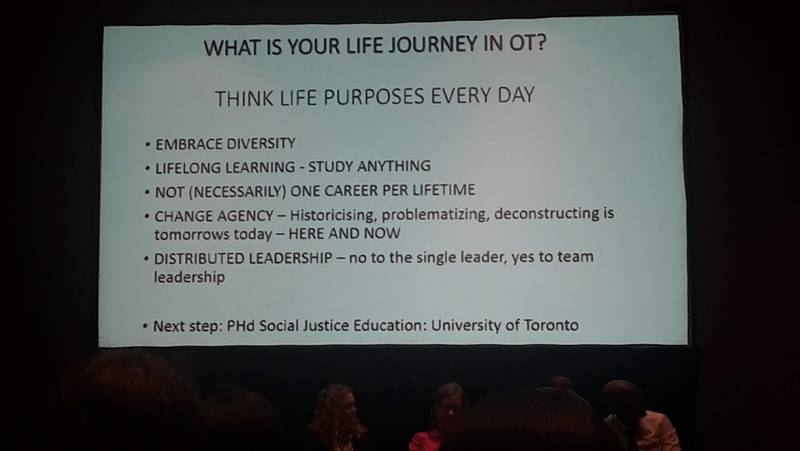 I’m trying to ensure I am supporting the decolonisation of OT, not merely sustaining (and benefitting from) dominant practice. I’m also obsessed with reading her work, which should definitely be featured within our curriculum! The WFOT congress wasn’t just workshops and presentations, there were also site visits. I was lucky enough to visit an OT at a local stables who runs hippotherapy sessions. 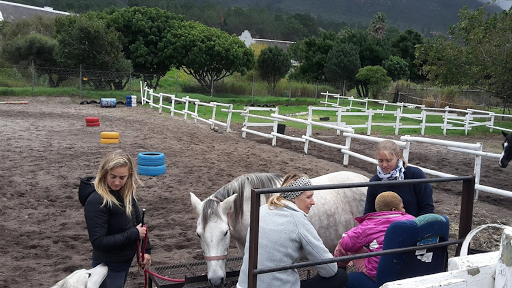 Hippotherapy uses horse riding as a therapeutic occupation for increased balance, bilateral coordination, sensory integration, etc. It’s a fascinating area of practice and a really rare opportunity to see it in action! Check out the video made just for SPOTeurope. 4. GAPA Grannies (Grandmothers Against Poverty and Aids). A really special feature at WFOT was the keynote address by service users in South Africa. It helped put Occupational Therapy into context and remind everyone who we are working for. The GAPA Grannies are such engaging story tellers. They shared their experiences of raising their grandchildren, the fight against Aids and poverty, and the value of being part of a group of people with shared experiences. You can see their presentation, as well as those from the other service user’s, here and here is their beautiful song. The student session consisted of a panel of inspiring Occupational Therapists talking about their individual OT journey and answering questions from students. They all had such different career paths and motivations, it was exciting to see there can be so much variation within our profession. When I think of disaster relief, I think of Doctors and Nurses swooping in and saving lives. I was curious to know where OT fits in, so I attended an afternoon of poster presentations on the subject. I learnt that in a recent Japanese earthquake approximately twice as many disabled people died than non-disabled people. There are teams of OTs working with vulnerable communities to put plans in place should disaster strike. I was amazed to realise that, whilst others are picking up the pieces after a disaster, OTs are working behind the scenes to ensure it doesn’t claim as many lives in the first place, or disproportionality effect the most vulnerable. Our role is disaster preparedness! Karen Whalley-Hammell’s keynote address challenged the predominantly white, female, middle class, western, non-disabled perspective that our research and theory comes from. She suggested that we have a habit of viewing these perspectives as the norm which is an “assertion of colonial power.” She offered lots of critique of our occupation categorisations and made strong arguments for a move towards co-occupations and interdependence to increase health and wellbeing. Not only was this fascinating and important, it will also be super useful in future assignments! 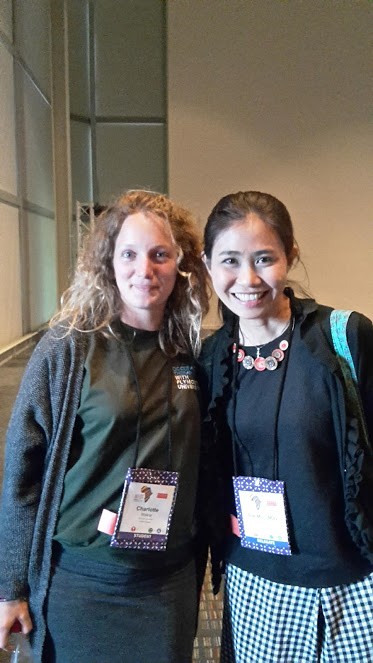 I am not a naturally sociable person.. but the opportunity to meet and exchange ideas with OTs and students from around the world was incredibly inspiring! I met people whose work I have followed, others who I have now started following and some who I will collaborate with in the future. Discovering shared interests and connections is exciting and gave new energy to my love for this profession! I have so much gratitude to RCOT for their competition and to my lecturers who convinced me to apply. I recommend you take any opportunity you can to attend the 2022 WFOT Congress in Paris!